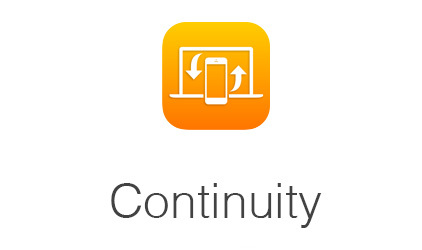 Besides Handoff and unified messaging, Continuity also allows you to make and receive calls directly from your Mac or iPad. For example when your iPhone is on charging or is in another room and you’re working on your Macbook. Now you want to order a pizza, simply go to the website and from there click their contact number, and order it. Yes you can do this without even touching your iPhone. You can also receive all the calls right on your Mac or iPad. This is a really time saving feature of iOS 8 and OS X Yosemite. You don’t need to setup this feature to work. Just like Handoff it starts working when you sign in to multiple Apple devices using same Apple ID. However sometimes you might want to disable it. Let’s say you want to handover your Macbook to a friend who is in the same room. So naturally you would like to disable it. Here’s how to disable this feature on your iPhone running iOS 8 or later. 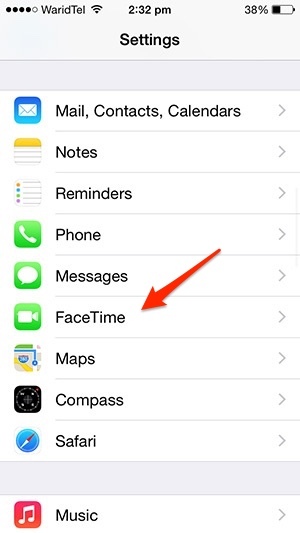 Scroll down and tap ‘FaceTime’ settings pane. 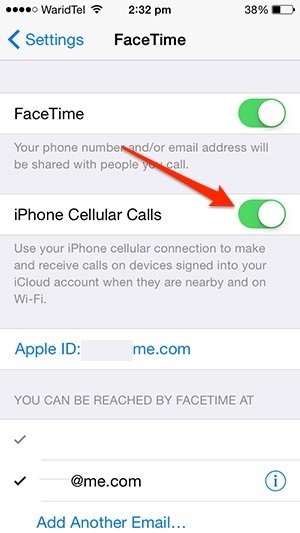 Disable the ‘iPhone Cellular Calls’ toggle. Later on if you want to enable it simply turn on the ‘iPhone Cellular Calls’ toggle.